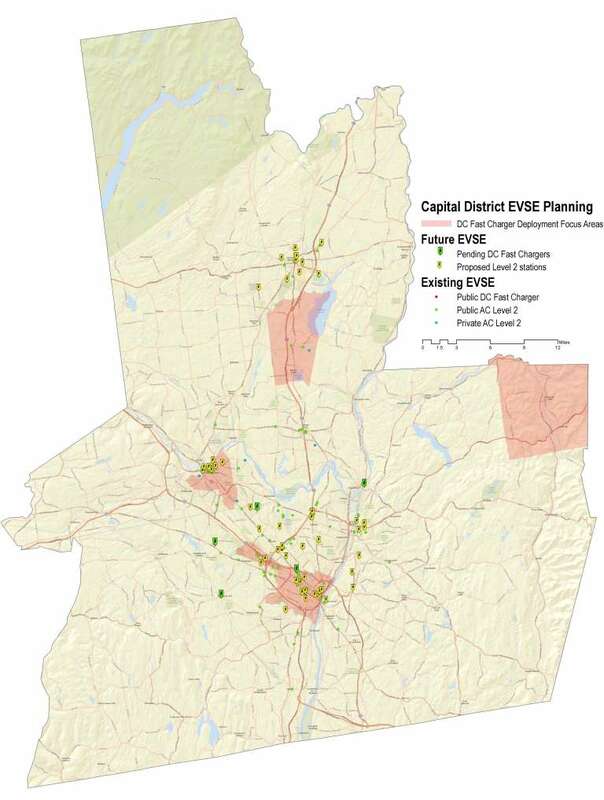 Capital District Clean Communities (CDCC) has been working as part of a team to develop an electric vehicle (EV) charging plan for the I-90 Corridor, from Albany to Buffalo. In total, four Clean Cities coalitions worked with five Metropolitan Planning Organizations (MPOs) along the corridor to develop five regional plans – Capital District, Mohawk Valley, Central New York, Genesee / Finger Lakes Region, and Western New York. Input and guidance on the plan was provided by a Working Group consisting of key stakeholders representing supporting communities, employers, and institutions. CDCC developed the plan with Energetics Inc., in collaboration with the Capital District Transportation Committee (CDTC), and with the support from the New York State Energy Research and Development Authority and New York State Department of Transportation. The plan provides an overview of the current EV landscape in the region, recommendations for additional EV infrastructure, and suggested actions for building community “EV-Readiness.” The five locations identified for the strategic expansion of Level 2 EV charging stations are the Cities of Albany, Saratoga Springs, Schenectady, and Troy, and the Town of Colonie. The plan also recommends locating DC fast charging infrastructure 25-50 miles apart along major transportation routes in the region. This plan compliments the ChargeNY initiative, whose goal is to reach 3,000 EV charging stations to support 30,000-40,000 EVs on the road in New York by 2018. As of late 2015, there were 831 registered EVs in the Capital Region and 69 public Level 2 charging station locations. Ninety-six percent of commuters here have a round-trip commute less than 60 miles, which is within the range of an EV. With one of the cleanest power grids in the nation, switching passenger cars from gasoline to electric, in the Capital Region, will reduce emissions by 75% per mile. The next steps to implementing the Capital District EV Charging Station Plan are meeting and coordinating with the cities and towns identified in the plan to assess their “EV-Readiness.” Holding meetings with key stakeholders in the recommended locations for additional charging stations to prepare for, and encourage, new installations. 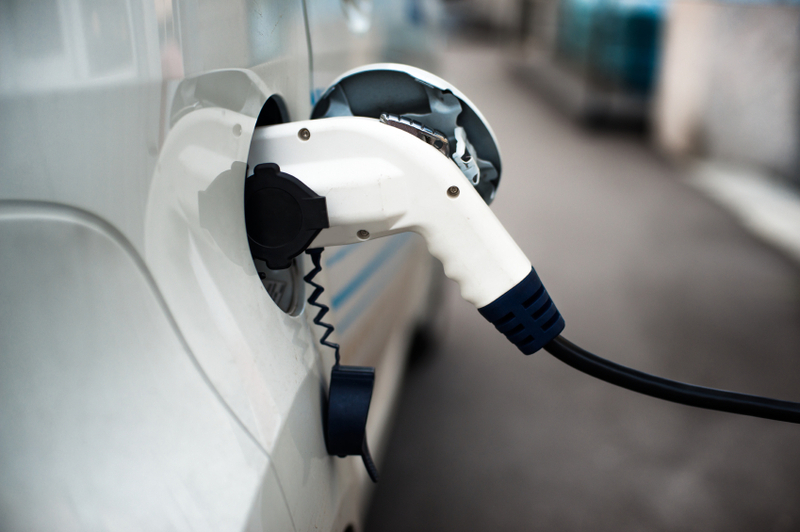 CDCC will working with cities and towns to help identify opportunities to leverage resources or coordinate partnerships between stakeholders to install charging infrastructure. And of course, additional funding and grant opportunities will be explored. The full plan can be downloaded here. A press release was also distributed. Earlier this week CDCC and CDTC joined the New York State Department of Environmental Conservation in Schenectady where it kicked off Earth Week with an announcement of $11 million in Climate Smart Community grants, which includes sustainable transportation projects for municipalities. This plan will help Capital Region communities be competitive in securing these funds for their projects. If you have any questions about the plan please email jceponis@cdtcmpo.org. Thank you to all the CDCC members that volunteered to serve on the working group that provided input to this plan!